Once you begin your pharmacy studies, you will instantly understand that being a professional and an expert is essential to survive in the market. Most of the pharmacy programs require students to gain practical industry knowledge in terms of clinical trials, medical assessments and drugs related information. Due to the ever rising challenges in the market, colleges have also started restructuring their curriculum in order to align it with the industry requirements. Pharmacy is an extremely rewarding career for those who seek to become top medical or pharmacy professionals. It comes with great sense of social responsibility, high perks and prestigious working environment. During the passing out ceremony or the white coat ceremony as it is usually called, all the graduates are required to sign the Pharmacist Oath. Herein, you’ll promise to sincerely devote a lifetime of your service in order to help others through your pharmacy profession. 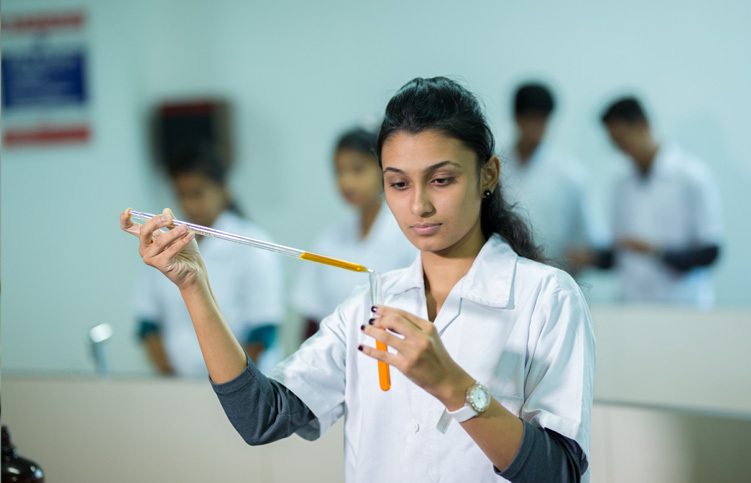 A bachelor in Pharmacy (B.Pharm) is a 3-year integrated course for science students who are aspiring to pursue pharmacy. Presently, Sandip University is ranked to be one of the best Colleges for Bachelors in Pharmacy, it has over 250 acres of huge campus, modern infrastructure and well qualified faculty. With the outstanding placement record and industry-recognized curriculum, Sandip University stands as the best B.Pharmacy College in Nasik with top-notch recruitments at one of the finest organizations. It is ideal to begin your hunt for some of the well recognized institutes and also study their eligibility criteria in order to get through. If you have successfully completed your Bachelor’s degree you can start preparing for the diploma or Masters. Eligibility Passed XII ( Science Academic Stream) with PCB group or equivalent course in any discipline from any recognized Board / Council.